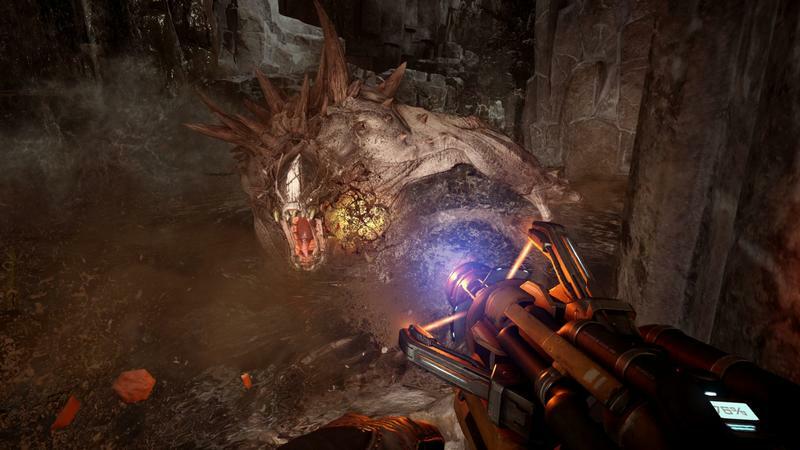 Evolve, the multiplayer 4-on-1 shooter from Turtle Rock Studios, is about to enter a closed alpha phase. From Oct. 30 until Nov. 2, select players will be able to fire the game up on their platforms and try to bring down the monster (or eat the hunters). The closed alpha will have a 24 hour exclusive window on the Xbox One, but PlayStation 4 and PC gamers will be able to jump in starting on Oct. 31. Now, the alpha is only available in two ways. First, you will have to have already pre-ordered the game by Oct. 8, 2014 in order to get in. Those who did pre-order are guaranteed closed alpha access on their platform of choice. The other method of alpha entry is exclusive to Xbox One gamers, as far as the press release indicates. You’ll have to head to www.evolvegame.com/xboxonealpha and fill in your information. 2K gave us a two codes to share with you folks in order to get a chance at being involved in the closed alpha on the Xbox One. Here are those codes. If you head to the alpha site linked above, you’ll see where to enter these codes. We will be getting into the alpha ourselves, and we will share gameplay and impressions from what we see. So, no matter what, stay tuned for that. New York, NY – October 9, 2014 – 2K and Turtle Rock Studios today announced that the “Big Alpha” test for the award-winning 4v1 multiplayer shooter, Evolve™, will be available worldwide* first on Xbox One, the all-in-one games and entertainment system from Microsoft, for 24 hours beginning October 30 through November 2, 2014. Limited access to the closed alpha test will also be available on PlayStation®4 computer entertainment system** and Windows PC from October 31 to November 2, 2014. Players can register for priority access and a chance to participate in the alpha test on Xbox One starting today by visiting www.evolvegame.com/xboxonealpha. 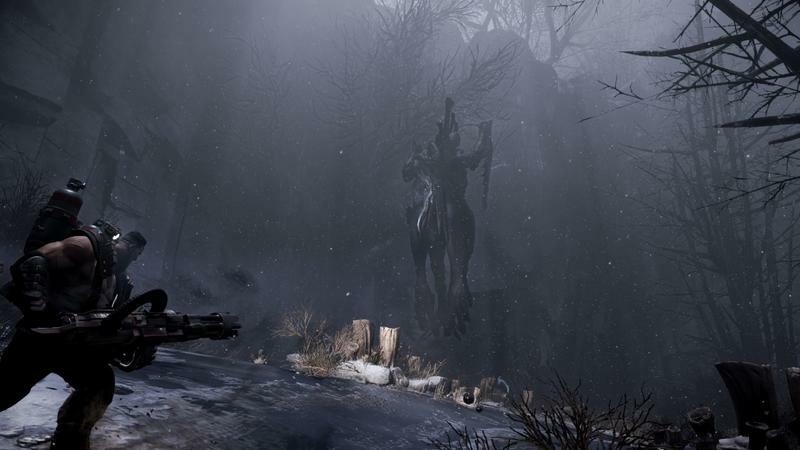 Developed by Turtle Rock Studios, the creators of Left 4 Dead, Evolve has won more than 60 awards and editorial honors to date, and is the only game in history to earn the official E3 and Gamescom “Game of Show” awards in the same year. Additionally, as a thank you to Evolve’s biggest fans, those who have already pre-ordered Evolve from participating retailers***, and those who pre-order in the coming weeks, will be guaranteed access to the alpha test on their chosen platform. A limited number of codes will also be made available elsewhere for a chance to enter Big Alpha. Those looking to participate should bookmark the official Evolve blog, and check it frequently for updates on opportunities to enter. Also, follow Evolve on Twitter, become a fan on Facebook, and join the 2K and Turtle Rock forums to grab codes for a chance to play. All players that pre-order Evolve will also receive the Monster Expansion Pack, which includes the fourth playable monster for free when it becomes available after launch, as well as the alternate Savage Goliath skin. The Monster Expansion Pack will be available to all those that pre-order Evolve before the game ships. To pre-order now, visit http://evolvegame.com/preorder. 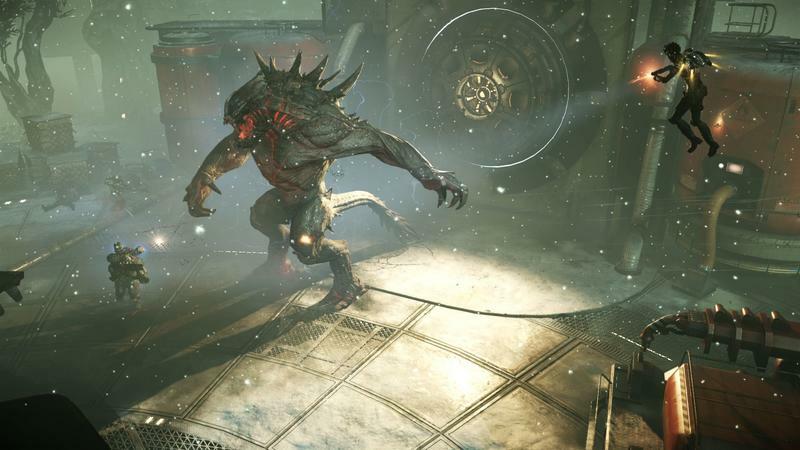 ** Xbox LIVE® Gold and PlayStation®Plus accounts required to play Evolve’s Big Alpha. ***Participating retailers for those who have pre-ordered Evolve by October 8 include GameStop, Amazon, Best Buy, Target, and Walmart. Participating retailers for those who pre-order Evolve by October 21 include Amazon, Best Buy, Target, and Walmart. From Turtle Rock Studios, creators of Left 4 Dead, comes Evolve, the next-generation of multiplayer shooters where four hunters face off against a single, player-controlled monster in adrenaline-pumping 4v1 matches. Play as the monster to use savage abilities and an animalistic sense to kill your human enemies, or choose one of four hunter classes (Trapper, Support, Assault and Medic) and team up to take down the beast on the planet Shear, where flora and fauna act as an adversary to man and monster alike. Level up to unlock new hunter or monster characters as well as upgrades, skins and perks. Earn your infamy on the leaderboards and become the apex predator. 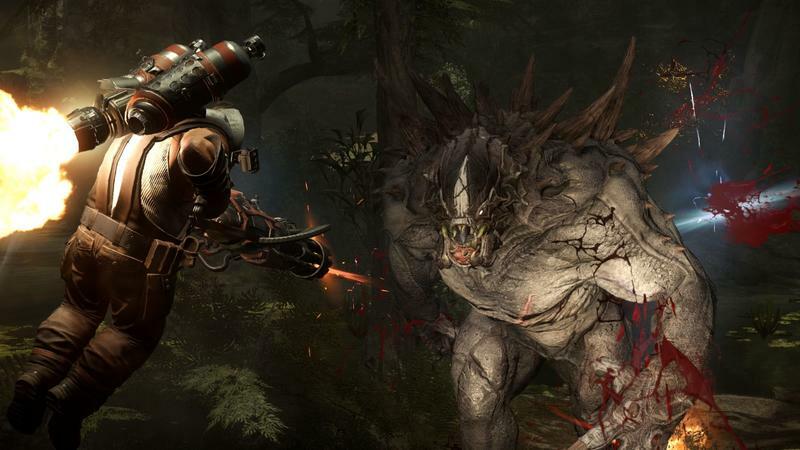 Evolve will be available on February 10, 2015 for Xbox One, the all-in-one games and entertainment system from Microsoft, PlayStation®4 and Windows PC. 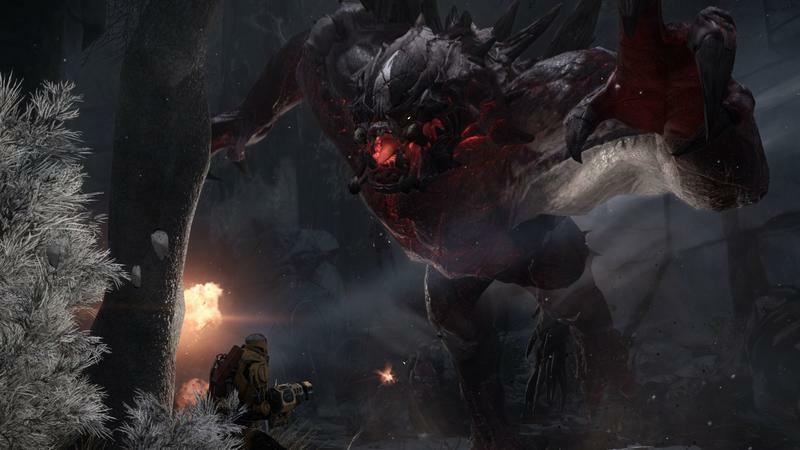 Evolve is not yet rated by the ESRB. 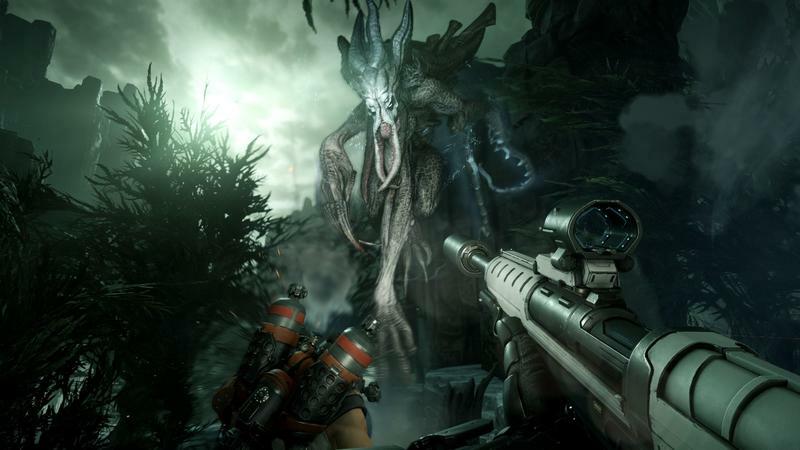 For more information on Evolve, follow us on Twitter, become a fan on Facebook, subscribe on YouTube and visit http://www.evolvegame.com. 2K is a publishing label of Take-Two Interactive Software, Inc. (NASDAQ:TTWO).